Out of the depths of the ancient Greek salt caverns to Spokane's own Salt Room. "Halos" is a Greek word for salt. 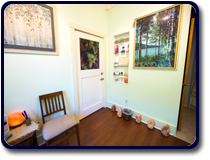 You too can experience Halotherapy as did ancient Greeks seeking to breathe easily and achieve natural clarity. In the last 20 years, the practice of spending time within a salt environment, outside of a salt mine, has become known as Halotherapy, Salt therapy, Dry Saline Aerosol treatment (DSA) and Dry Sodium Chloride Aerosol treatment (DSCA). Whatever name is used, Halotherapy is a non-invasive and gentle respiratory cleanse. Halotherapy recreates the therapeutic effects of speleotherapy. 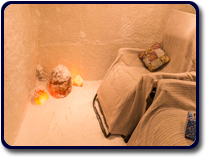 Imagine a salt mine simulator, because that is what a halotherapy chamber or saltroom is meant to be. By using salt to cover the walls, ceiling, and floor, high negative ion production is achieved. By adding a super fine salt mist into the air, the therapeutic properties of salt can be experienced. 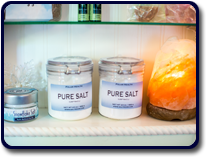 Surrounded by pure natural rock salt crystal energy, your body begins to realign itself as you begin to experience natural clarity. Relax, meditate, or concentrate on a particular idea, for in the saltroom the process is enhanced. Some people travel long distances to experience Halotherapy. When in Spokane, you may simply visit the Saltroom of Spokane. Call (509) 255-0505 or click here for an appointment today!